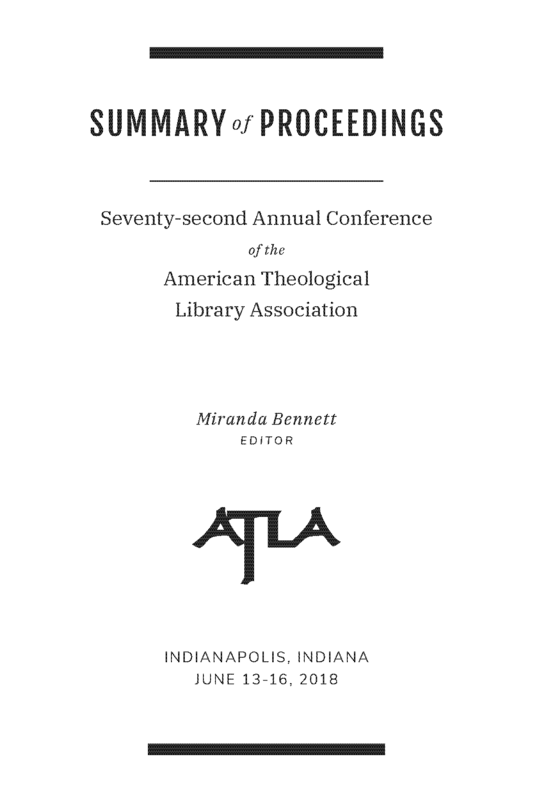 The annual Atla Summary of Proceedings is a historical record of the Annual Conference of Atla. "Alone We Can Do So Little; Together We Can Do So Much"
"I Will Give You Shepherds"
Fake News or a Real Crisis? Bold Ideas of Empty Promises? What is a Small Library to Do? How One Church has Strived for Radical Welcome and Inclusion in Their Congregation.